Dealing with back pain? You are not alone! According to the Global Burden of Disease Study, low back pain is the number one cause of disability in the world. The American Chiropractic Association reports that over 31 million Americans complain of low back pain. That’s not exactly the company you want to be in! Back pain has a way of slowly draining away your quality of life. It can distract you at work, prevent you from doing the hobbies you love, and make you so cranky that your family starts to worry. You may have tried all sorts of remedies to get rid of your back pain. Massage and chiropractic care might have helped it for a while, but the pain always comes back. Your doctor can give you pain relievers, but that’s only addressing the symptom. What about Rolf Structural Integration? Rolf Structural Integration happens to be an excellent therapy for low back pain! 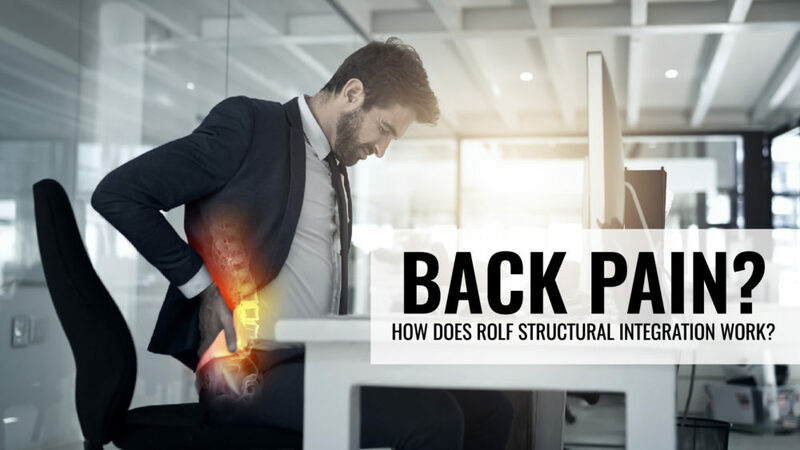 One of the primary reasons why is that Rolf Structural Integration can likely address and fix the cause of your back pain. If you’re like most Americans, you probably spend a lot of your day sitting. Over years and years, the fascia surrounding your muscles tightened and even adhered to your muscles. This tight fascia pulled your body out of alignment, and your body worked hard to compensate. That’s why you see people walking around with hunched shoulders, hips pushed out, and more. They’re all trying to compensate for poor alignment! Eventually, your body gets to a point where it simply can’t compensate any more. The result is pain. Back pain is the most common, because your back is such a central part of your posture and because it is easy for tight shoulders, a tight neck, and tight hip flexors to all pull your spine out of alignment. A massage feels great. So does a chiropractic adjustment, but all the massages and adjustments in the world won’t permanently fix your back pain if your fascia is tight. That tight fascia will just move your muscles and your body back out of alignment, and the pain will return. Rolf Structural Integration is a practice specifically designed to loosen areas of thick, tight fascia and to release areas of adhesion. Using palpitations and other non-invasive methods, your practitioner can loosen your fascia so that your muscles can move freely again. When your muscles are free, your body will naturally slide back into the proper alignment it has always been seeking. 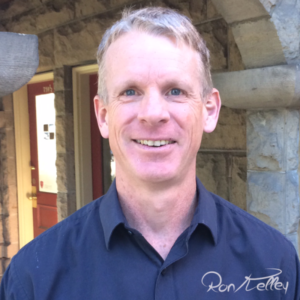 At my practice, Rolf Boise, I often find that clients have very tight fascia around their hip flexors (due to desk jobs) as well as shoulders and necks in athletes who have spent years swinging bats, throwing balls, and lifting weights. 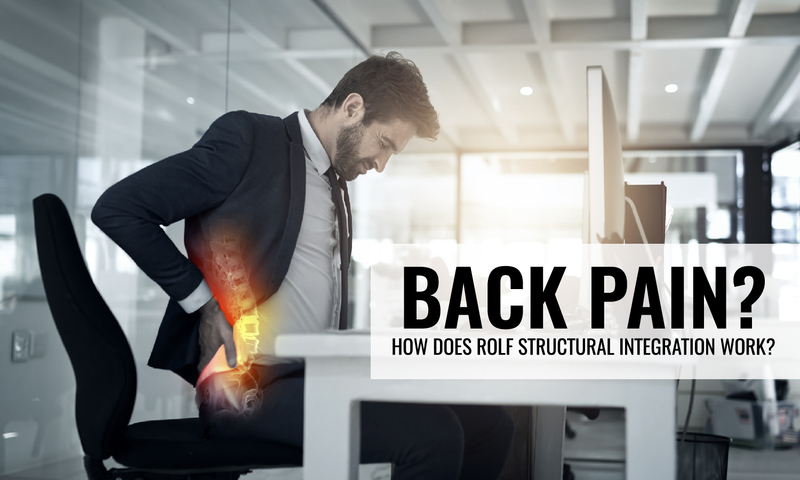 If you have back pain and have tried everything else, it’s time to try Rolf Structural Integration. You’ll feel a difference even after a single appointment! If you live in or near Boise, contact us to schedule your consultation today.